Bryan Choo, editor-in-chief of popular lifestyle website TheSmartLocal, has written an article exposing another local site of plagiarism. In an article published just yesterday, Choo explains the situation concisely, with screenshots of the offending article by WealthMastery.Sg being compared to TheSmartLocal’s original article published back in April this year. According to the article, Choo had approached Patricia Lin, the site’s co-owner, about the plagiarized content, seeking to clarify the situation. However, Patricia’s reaction was less than ideal. 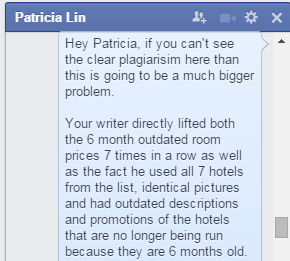 After I highlighted the more obvious areas of plagiarism to her, she said I was exaggerating the situation. But soon after that, she had the the suspect areas I pointed out changed in the article, to cover up her writer’s plagiarisms. Choo then cited several incidents that made it clear the article was lifted from his own site. The article was titled “7 Ultra Luxurious Staycations You Can Do In Singapore For Less Than $300“, which were also part of TheSmartLocal’s list of “11 Singapore Boutique Hotels So Cool You’ll Want to Stay Forever“, which was a result of the writer’s personal experience and research. The offending article offered no new information, and even offered outdated information about the services and amenities. The most outstanding piece of evidence was the outdated price list that, despite the often-fluctuating hotel prices, mirrored that of TheSmartLocal written several months ago. But despite Lin have denied the allegations, Choo noted that the prices in the WealthMastery.Sg article were changed. Hotel room prices are seasonal and fluctuate. To find out these prices, we had to go to the hotel websites and check out their booking prices. It isn’t hard work. But the point is – because room prices fluctuate daily, they are always different. It is impossible for the prices to be identical for all 7 hotels a week later, let alone 6 months later. When asked about what he plans to do about the incident after his exposé article went live, Bryan says that he doesn’t plan to take further action against WealthMaster.Sg – unless they repeat a similar action. He also said that he had written the article as his only available course of action, especially after attempting to resolve the matter privately had failed. The world that content creators operate in has proven to be a treacherous one. 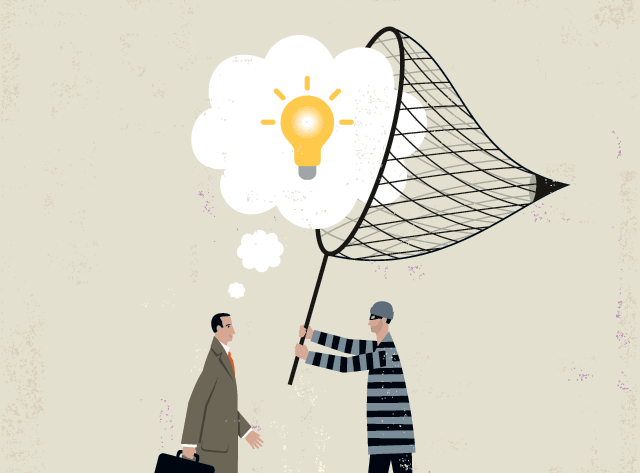 There is little protection for content hosted on the internet, and often when plagiarism occurs, there is little action that can be taken, which means that parties like WealthMaster.Sg walk free. As part of the Vulcan Post team, the thought of this frightens me. Choo also states that this wasn’t the first time TheSmartLocal’s content had been taken. While TheSmartLocal was credited as the author, there was no permission given for the content to be taken, and despite Choo’s attempt to get the website to take the post down, it was to no avail. Incidents like this, Choo said, made him feel powerless. By writing a post about it, Choo hopes to at least deter other plagiarists from doing the same thing. “They will have second thoughts about copying articles,” said Choo. Vulcan Post has reached out to WealthMastery.Sg, and is awaiting a response on this issue. WealthMastery.Sg has responded with an official response titled “Sorry, We Screwed Up“. 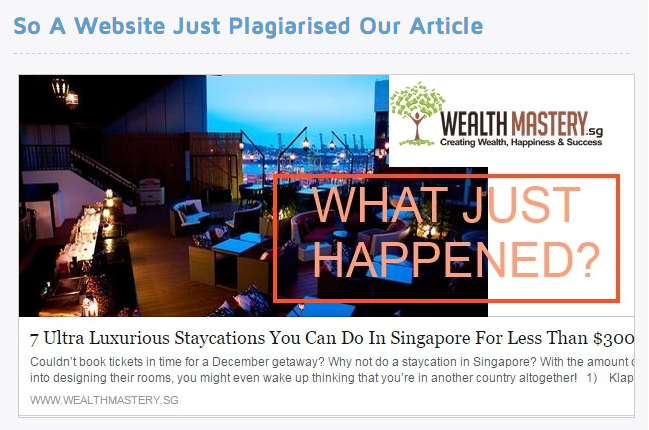 The lengthy article details Patricia Lin, co-owner of WealthMastery.Sg, correspondence with Choo regarding the plagiarised content, which included Choo demanding that the offending article be taken down immediately, while Patricia hoped to wait till the next working day, Monday, to address the matter. The demand to unpublish an article on a website is not uncommon. The correspondence also included the use Copyscape, a duplicate content and plagiarism checker, which came up with nothing since the content, while lifted from the TheSmartLocal article, was reworded. According to her official statement, she later “spent the day to research more on Plagiarism and its definition” and found that she was in fact in the wrong. Now contrary to Bryan’s words, we did not “sneakily” update the prices of the hotel rates on Sunday. We did so after evaluating the current pricings offered by the hotels and decided to update the rates to reflect the current ones so as to ensure that rates are below $300 as stated in the article and none of our readers are misguided. As such, we would like to take full responsibility for this mistake of plagiarizing content from The Smart Local and apologize for the matter, especially to the affected writer, Adila Shahrin. We’ve proceeded to make amendments to the article on our site as of Sunday, and crediting the sources for the article content, including The Smart Local. We will take extra precautions in future with the articles and content that we publish on our site to ensure that only original content of value to our readers are being published. Lin also approached this writer with the statement, saying, “I do acknowledge the gravity of the matter and hope the response gives light to our stand”. While Bryan Choo did request for the article to be taken down, the original article is still up on the WealthMastery.Sg website, albeit amended to include credits to TheSmartLocal as a source, meaning that WealthMastery.Sg will continue benefitting from this article. Is this apology enough to make up for content-stealing? Maybe not. But at this point of time, there doesn’t seem to be any other course of action available. The full statement can be read here, while Bryan Choo’s original recount of the incident can be found here.